Sandra Bland: Does The Law Protect The State Or Its Citizens? For someone who grew up in a law office, I know surprisingly little about the law. Perhaps it is because I spent most of my days coloring or watching reruns of Hawaii 5-0 in the corner of the law office my father and grandfather shared, instead of listening to what was going on around me. Perhaps it is because legal conversations constituted the background noise of my life since birth in such a pervasive manner that I ceased to pay attention. Well, I am paying attention now. Sitting in Judge David Hittner’s Courtroom, on the 8th Floor of the Federal Court House in Houston, Texas, I rapidly took down notes, not knowing what all of the words I wrote meant, as the status hearing for the wrongful death civil trial of Sandra Bland began. Sipping frequently from a coffee mug with the word “Dave” in block print up the side, Judge David Hittner made it clear from the outset that there would be no gag order during this trial to prevent communication with the press and that he intended to move through it as quickly and efficiently as possible. The courtroom listened calmly as first the Plaintiff’s (Geneva Reed-Veal) attorneys introduced themselves and then the Defense. The introductions gave Judge Hittner his first opportunity to reveal his no-nonsense demeanor when the attorney for Waller County tried to opine that he was alone in representing the County, and the Judge responded dryly something along the lines of, “Now come on, we all know you’ve got a lot of people working with you.” Then the attorney for DPS (Texas Department of Public Safety) and Officer Encinia finished the introductions and they were off into the meat of the matter. The Plaintiff’s attorney’s described first the responsibility of the Waller County Jail for the psychological and physical safety of their inmates, as well as delineating the jail standards that guards lay eyes on the prisoners once an hour for regular inmates, and every 15 minutes for those on suicide watch. It was fascinating to hear that after more than 60 days of listening to officials and investigators around the Waller County Jail and Courthouse imply or state that Sandra Bland was suicidal, the case of the County now seemed to rest on their argument that they did not believe her to be suicidal. The importance of this change of tune rests on the fact that they would be legally responsible for their negligence if she was indeed suicidal and they knew and they did not do the 15 minute checks. As the attorneys for the Plaintiff made clear, however, that fact may prove to be immaterial as they do not believe that the guards performed even the 1 hour checks, let alone the 15 minute visual checks. The first of only two audible murmurings swept across the courtroom soon after when the attorney for DPS and Officer Encinia began his remarks in a rather odd manner by saying that Officer Encinia saw Sandra Bland run a stop sign but he did not know if it was a private or a public stop sign so he decided to follow her for a while. The validity of bringing up whether it was a private or public stop sign, and what that means, seemed less concerning than the validity of bringing up a new violation that not been in the officer’s report, and therefore legally irrelevant, but practically biasing. The second audible murmuring would be caused soon after by the same attorney when, after describing Sandra Bland as handcuffed after a struggle and placed in the police car, he began saying that the officers were concerned because she seemed to ducking around and searching frantically in her purse for something. “How was she searching through her purse with her hands handcuffed?” the judge was quick to ask, prompting a quick response from the attorney that he was jumping around in the story and that piece was from the beginning. Most pertinent to the conversation that followed seemed to be three concepts that are crucial to the State’s attempt to have the trial dismissed: Qualified Immunity, the 11th Amendment and the Monell Ruling. It is quite difficult to imagine a reasonable person applying this “oops clause” to the threat of “I will light you up! !” or the word “Good!” repeated when Sandra Bland informed the Officer she couldn’t hear and had epilepsy after her head was smashed on the ground. Having been a condition of part of uniting the United States of America, this Amendment sought to strike a balance between Federal powers and the ability of each State to govern locally, by limiting what charges a Federal Court could hear against a State. This is pertinent because while Sandra Bland was traveling through the state of Texas, she and her family were from another state and, thus, limited in their rights, the State would argue, to hold its officials accountable. If you feel like that precedent should concern you, you would be right. On the Plaintiff’s side, the concept of the Monell ruling was mentioned several times. This ruling, Monell v. Department of Social Services of the City of New York, gave women who had been put on forced maternity leave the right to sue the City of New York. By finding that the local government can be held responsible for depriving someone of their civil rights, the case created a precedent for the ability of individuals to sue a city, county or municipality for damages incurred through the violation of rights. As the opening statements in the hearing concluded there were three more important points made. First, the Plaintiff pointed out that they had been given no evidence to look over and the County and State attorneys argued that it was because the evidence was in the hands of the Texas Rangers doing the criminal investigation. Judge David Hittner committed that he would tolerate no unnecessary delays and encouraged the DPS and County attorneys to transfer evidence as soon as possible. The second point, argued by the DPS attorney, was that he had a right to know at what point excessive force was used and at what point a wrongful arrest was made. He argued that he had a right to have the timeline married with the accusations. While the Plaintiff’s attorneys pointed out how that had all been done very clearly in their brief, I could not help but think to myself that the wrongful arrest was pretty clear: it began the moment Officer Encinia said “You are under arrest” without cause and continued as he said “I’ll light you up!” and led Sandra Bland off camera with his taser; only to later report that she had “assaulted an officer” once she was off camera and you heard her thrown to the ground and in pain. The third point, at least that I caught, was the refutal by the Plaintiff’s attorneys that qualified immunity should be applied to Waller County as well as to Officer Encinia, stating that Qualified Immunity is intended for an individual and not for a county. If such Qualified Immunity were permitted, it would mean doing a separate investigation for the County than for the guards involved and create a redundancy of work by creating the necessity to do the same depositions and investigation twice. Those are exactly the kind of unnecessary delays that Judge David Hittner is trying to avoid. Therefore, while sipping from his “Dave” mug, he concluded that the court date would be set three months out and that the Plaintiff’s response to the County and State’s attempts to dismiss the case would be due in half that time. As I stood waiting for the family with other Sandra Bland supporters, my mind raced to understand the Law of our land. For the first time in my thirty odd years, I realized that any and every case has the potential to create ripples in our legal system that can reach through our car doors and house doors and work doors and impact our lives and our deaths. If this matters to you, please click here and support the family of Sandra Bland in their struggle for justice. It impacts us all, and every little bit helps. On a Sunday afternoon at Waller County Jail, you see something you do not see much of during the rest of the week: children. On weekends, the focus of activity shifts from trying to get people out of Jail, to visiting those who are stuck inside. Energy shifts from negotiations with bail bondsmen to consolations between loved ones. As visitation days, Saturday and Sunday experience a rhythm that does not happen all throughout the week. The labor at the Jail shifts on Sundays to focus on security because there are so many additional people present that are not usually there. The weekday rhythm of transporting prisoners, engaging with bail bondsmen, and holding meetings slows and the space is filled instead with faces that are not present on a typical work day. The rhythm actually feels pretty similar to the summer I spent working in the Chaplain’s Office at a hospital. I remember that patients always knew that if they did not get discharged by Friday afternoon, they probably would not get discharged until Monday. In the tower of triage paperwork, as administrators prioritized patients based on severity of condition, if you could sit tight for a couple days, that is probably the situation in which you would find yourself. This would be simply a quaint analogy with images of children running Matchbox cars over the tile floors of both hospitals and jails around the country if it were not for one important fact: Sandra Bland was arrested on a Friday afternoon. From what I have observed over the past couple months, getting someone out of Jail on a regular business day is complicated enough. One day I sat beside a woman who was calling bail bondsmen all day long and not able to get one to answer. Another day, I watched as a bail bondsman spent the entire day sitting, trying to get someone out of Jail, only to be turned away at the end of the day and told that there were no staff available to process his paperwork. I have to admit, watching all of this take place has made me highly aware of the privilege that has shielded me from ever having to understand how any of this works. That ignorance has made it take several weeks for me to understand how crucial these complications are to Sandra Bland’s situation. Many people with similar levels of ignorance to my own of the bonding system have tweeted criticism that Sandra Bland’s family and friends could not just pull together the $500 and bail her out. Have you ever had someone you loved suffer and not been able to fix it? How would you feel if everyone and their brother then felt entitled to have an opinion about what you should have done? How would you feel if they tweeted those opinions in your moments of deepest grief? It is true that Sandra Bland’s bail was set at $5,000, only $500 of which needed to be paid immediately, but where most people go wrong is that they think anyone could just walk down there, put $500 on the counter and say, “Hand over Sandra Bland.” It is not as simple as that. Especially not on a Friday. Especially not on a Friday at 4:27 pm. Get admitted to the hospital ICU at 4:27 pm on a Friday afternoon, and you are in until at least Monday morning. Get booked at 4:27 pm on a Friday afternoon in a quiet Jail, on a side road, in a rural county, and you are going nowhere fast. After spending seven Friday afternoons in the parking lot of the Waller County Jail, I can tell you that it has the feeling of a man loosening his belt after Thanksgiving dinner as the turkey does its trick and leaves you ready for a nap. After a week of meetings and administration, non-essential staff is headed out the door and everything is getting pretty quiet. Even if you could get there during regular business hours, slam $500 down on the counter and say “Hand over Sandra Bland,” that is simply not how the bail system works. To start with, you are not even going to be giving the $500 to the Jail. You are going to be giving the $500 to the bail bondsman. He is then going to go to the Jail with his license as a bondsman, with which he can prove that he has the $5,000 collateral to commit in order to obtain Sandra Bland’s release. You see no one actually hands over $500. The bail bondsman has a license and a limited collateral that he can commit against the odds of someone jumping bail (not reporting for their court date). Once he has reached the limit of his collateral, he cannot bail anyone else out. The only way I can understand the bond system is to think of needing to have my parents co-sign on my student loans in college. Those that gave me the loans did not know if I could pay them back, but they did know that my parents had collateral and if I failed to pay, they could come after my parents’ assets. That is what a bail bondsman does: he puts his collateral on the line. He gambles against the odds of someone jumping bail; and if they do, he can send someone after them. So, even when you have the money (which Sandra’s family did), first, you have to find a bail bondsman. Yet, that is not always the easiest thing to do, even if you are close by, and especially if you are far away. Remember the woman sitting in the parking lot all day unable to get a bondsman? Even if you drive over from Waller, or Cypress, or Houston, or Chicago, that does not mean you will be able to get a bondsman to show up when you want them to come. They could choose not to answer because they have reached the limit on their collateral; or they could prefer to wait in order to do multiple bonds on one trip. Or they could simply be busy, uninterested, asleep, or at their daughter’s soccer game. Because here is the thing, bondsmen are not civil servants, they are business men. They have no obligation to the people that call them. They do not have to answer the phone, they do not have to come, and they do not have to put up their collateral against the likelihood of whether a person’s loved one will jump bail. Without getting one to answer, and agree to come, your loved one is not getting out of jail. They are doing the people who call them a favor, with the hope of a financial reward, betting their collateral against the loved one’s good behavior. Beyond that, even if a bondsman comes, that does not mean your loved one is getting out of jail. Remember the bondsman who sat all day and still could not get the loved one released? When I went into the lobby to use the bathroom, I observed him submitting his paperwork through the slot. Hours later, he finally came out and said that he had been informed that there was no staff person available to process his paperwork. So a family member had actually contracted with him to come and put up the bail; and he had sat there all day; and he still could not get the person released because no one was available to process his request. So, to those of you who have been asking why someone’s family would not be able to get them out of jail immediately, ask yourself whether your family could if you were arrested on the other side of the country, in a quiet, rural town, at 4:27 pm on a Friday afternoon as everyone was going home for the weekend. The measure of how much you love a person is simply not a factor in the equation. Sandra Bland’s death in the care, custody and control of the Waller County Jail is serving to bring light to what many families around the country suffer when their loved ones are arrested unexpectedly, whether they be far away or close by. For over 50 days, I have been receiving messages on social media telling me what a fool I am for standing in solidarity with the bold and vivacious activist, Sandra Bland. While the messages vary in their intensity, most of them have two things in common: 1) they know nothing about Sandra Bland and are woefully misinformed 2) they express their own belief that Sandra Bland chose to end her life and, thus, her life is not worth honoring, her grieving family is not worth respecting, and the circumstances surrounding her death are not worth questioning. Sadly, they have completely missed the point. While understanding may not be their goal, I know that it is the goal of many of you out there whose concern is piqued not only by our persistence, but even more so by the bold, vulnerable, powerful and loving voice that you have heard in the #SandySpeaks videos. It is to you that I write. It is to you who seek to know justice and mercy that I write. It is to you who know that an uncomfortable truth is better than a comfortable falsehood, it is to you that I write. First, let me say that my stance is one of solidarity with the family of Sandra Bland as they continue to ask #WhatHappenedToSandraBland, as they continue to demand #JusticeForSandraBland, and as they continue to seek answers. Based on the character, personality and state of mind described by Sandra’s friends and family, I stand with them in their stance that Sandra Bland would not choose to end her life. While at no point have I made any accusations or speculations; at each point I have continued to raise the questions put forward by her family and friends. While those who are convinced Sandra took her own life have used their belief to dismiss all negligence on the part of the state, local Waller County activists have been consistently pointing out why that is not even the point. They have done so with three words: Care, custody and control. Trained as a theologian, rather than a lawyer, even I have not understood the importance of those words over the course of these last seven weeks. All that changed five days ago. My father, who is an attorney, challenged me to read up on the case law surrounding Sandra Bland’s death. As I did, a wave of recognition washed over me as I was taken back to a moment in 2009. In February of 2009, I received a phone call as I pulled into my driveway in Durham, North Carolina. What I heard on the other end of the line left me pounding on my steering wheel as if the rhythmic beating could somehow bring back to life what had been lost. I was informed that the night before a snow storm had descended upon the mountains of northern Pennsylvania. When the sun rose in the morning and the morning shift arrived for work at my grandmother’s nursing home, they found my beautiful, 89 year-old grandmother lying in the parking lot, frozen to death, wearing nothing but her nightgown. I pulled back out of the driveway and started driving north. From different directions other family began to do the same. All of us hoping that there was some life left in her cold body. Each of us beginning to descend on the small, mountain town as if the heat of our grief could restore the warmth to her body. In the middle of the night, my grandmother had left her room and gone outside. I will never know what happened to her or why. I do not know if she was experiencing a moment of senility; if she was confused and could not find her way back in; if she knew what she was doing; if she was lured outside; or if she simply wanted some fresh air and got overwhelmed. Legally, none of that mattered. My grandmother was in the care, custody and control of that nursing home. They were legally responsible for her well-being. The nurse responsible to check on her did so at 1:30 am. She discovered her missing. She said nothing. She did nothing. She went back to her desk, while my grandmother lay in the snow outside. My grandmother was a local woman, loved and respected. Without delay, the District Attorney swiftly brought criminal charges of involuntary manslaughter because my grandmother was in the care, custody and control of that nursing home and its employees. I will never know why my grandmother froze to death in the parking lot of that nursing home. That is not the point, however. She never should have been alone in the snow in that parking lot in the middle of the night to begin with. In Chicago, Sandra Bland was a local woman, loved and respected. Yet, Sandra Bland did not die in Chicago. She died far from home. She died far from her mother, her sisters, her nieces, her nephews, and her church. She died in a place where she was alone and suffering and in physical pain caused by a violent arrest that never should have happened, and for which she had not received adequate medical attention. She was placed in a cell alone, in what discharged prisoners have called “solitary.” She suffered and she wept. In her case, it was not that the guards said nothing or did nothing, it was that they did not even take the step to do that visual check that they were required to do. Even in the best case scenario for them, her guards sat at their desk ignorant of what was happening while her life left her body. In whatever manner her departure took place, she was in the care, custody and control of the Waller County Jail and its employees. Yet, rather than treating her with respect, the District Attorney in her case called her “not a model person.” Rather than treating her with honor, a Judge involved took to Twitter to describe her as self-medicating with marijuana; and defended his tweets when criticized by saying that the information he shared was pertinent to her mental state; as if he was the prosecutor to the deceased rather than judge. Rather than treating her with caution and care, the Waller County Jail oversaw the departure from life of a bold, brilliant, fun-loving, vivacious woman. While I profoundly disagree with their characterization of Sandra Bland, legally, who she was does not matter. Her life mattered, and her life was their responsibility. Texas lawmakers have acknowledged that. She was in their care, custody and control. She was black, while my grandmother was white. She was young, while my grandmother was old. She was an “outsider,” while my grandmother was local. She was in the care, custody and control of a jail, while my grandmother was in the care, custody and control of a nursing home. Tell me, which of these differences makes her worthy of less respect from those charged with her care and supervision during life, and those charged with her justice and investigation after death. I pray Sandra Bland’s family will have the answers that my family never will. I pray they will know: What happened to Sandra Bland? Yet at a very basic level, in order to be infuriated, we do not even need to know how Sandra Bland died. All we need to know is that Sandra Bland never should have been under arrest. Sandra Bland never should have been alone and out of sight in the back of that jail in the middle of the night, any more than my grandmother should have been alone and out of sight in the back of that snowy parking lot in the middle of the night. 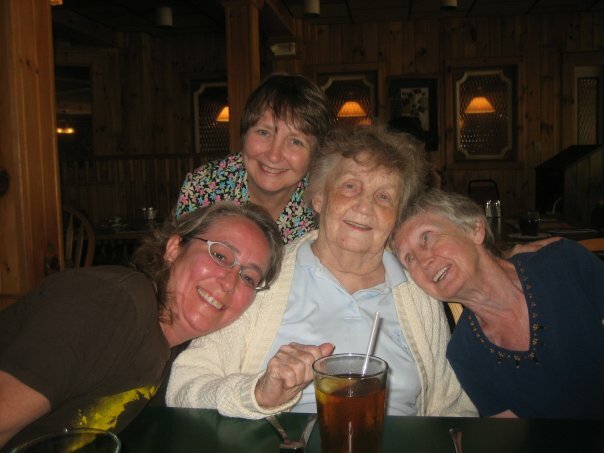 On that night in 2009, the nurse responsible for supervision of my grandmother was legally accountable for her death, and by extension so was the nursing home for which she worked. On July 13, 2015, the guards responsible for the supervision of Sandra Bland were legally accountable for her death, and by extension so is the jail for which they work. What happened to Sandra Bland? On the 49th day of being in prayerful solidarity with Sandra Bland, I sat in the corner of a coffee shop at the close of one more day in front of the Waller County Jail. I fielded phone calls and messages about an angry video released by a white supremacist. Concern for our safety was not a new thing, nor was the constant responsibility to redirect attention and focus back to the point of our solidarity vigil: Sandra Bland. Then all those details whose import I did not realize in the moment came flooding back. I remembered being awakened that Wednesday with messages from my friend Jeremyah who was concerned, along with all of his Prairie View alumni friends, about the news that a friend of theirs had died in jail. I remembered the first messages I got in the morning, and the texts in the afternoon. 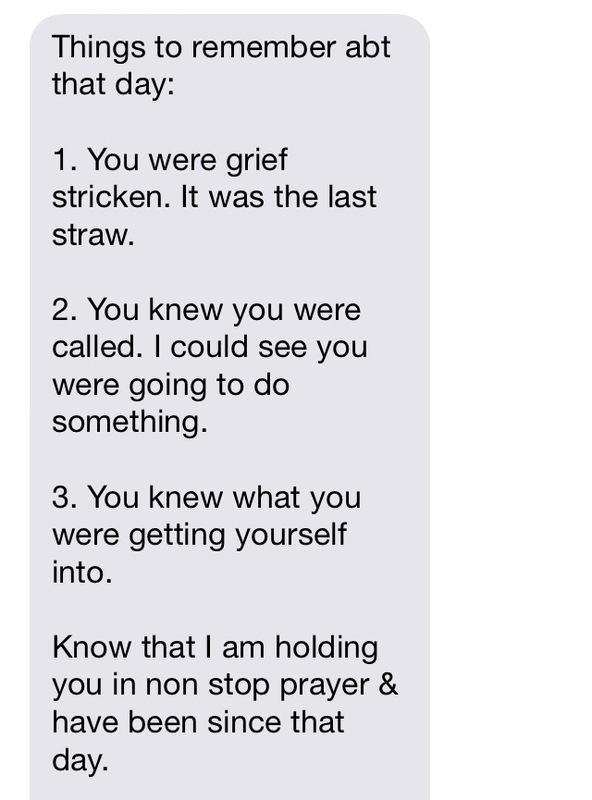 I remembered the first time the words #WhatHappenedToSandraBland were texted to me that afternoon. I remembered my friend Kathy sitting down across from me shortly after. I remembered that Kathy and I were supposed to meet about something important that first day, but I do not know what it was. All I remember is that I asked her if we could sit outside, and then she sat across from me in silence as I read an article entitled, “Family of Sandra Bland Questioning Her Death in a Texas Jail.” Then more silence followed, of a duration that only a true friend could endure, as waves of grief rolled over me. We must have sat for an hour before we finally began to speak. “It was,” I say, “it was the last straw.” It was the last straw. 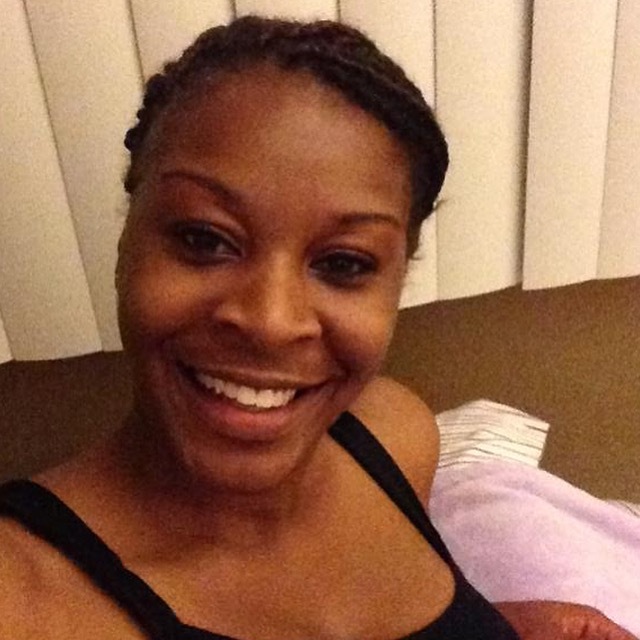 There were too many women in my life that could have been Sandra Bland. There were too many bold, unapologetic, brilliant, black women in my life who I knew did not live in the same America as me. There were too many women in my life who had more to fear than a ticket when they saw flashing lights. Now, once again, on Day 49, Kathy sat across from me in our familiar semi-silence as we reflected on it all. Eventually, we parted ways with hugs and prayers. She was right on all counts. When I left her side, I went to Wednesday evening Bible Study, grieving and seeking what to do. At the end of Bible Study, knowing I had been wrestling all day with what to do, Rhys suggested we go to the Jail and honor Sandra Bland in the place where she had died. We met up with our friend Nina and we did just that. We were grief stricken. We were called. We knew what we were getting ourselves into; not perhaps the specifics, or the extent, but we knew it would be hard, and we knew it would be necessary. There are two things I have always said since Day 1. First, my problem with the situation starts the moment she is pulled over. Second, I believe Sandra Bland would do this for us. We were grieving. We were called. We were woke. We are grieving. We are called. We are woke. My Instagram feed (from right to left) that first day. On August 25, I stood in front of the Prairie View City Council and I said that I was there because Sandra Bland had changed my life. Despite the fact that I never met Sandra Bland, and sadly will never get to meet her, it was true. Assuredly, she had help: her friends and family helped to put her life in context, while my friends and family helped keep my life in context. When I saw pictures of her goofing off with her four sisters, it pierced my heart, thinking of my own sisters who are everything to me. When I saw the joy in her eyes in pictures with her nieces and nephews, I recognized the pure delight of getting to be the fun, young aunt who is free to adore and be adored by children who you have a responsibility to without having the full responsibility for them. When I saw pictures of Sandra with her mother, I recognized the fulfillment of figuring out how to have an adult relationship with the woman who once wiped your nose and changed your diapers. When I saw her sign “All white people are not against us,” I knew that Sandra Bland was wise enough to recognize that the #BlackLivesMatter movement is not about hating white people, it is about loving black people; and the person who believes the former reveals their struggle to do the latter. Unlike many people who find themselves in the spotlight, Sandra Bland never had an opportunity to go back over her life and edit it for public consumption. By the time she found herself in the limelight, she was no longer with us. The story she had left behind of her life, both the pain and the beauty, would have to stand on its own. Yet, stand it does. It stands as the testimony of a bold and loving woman, who was in a moment of emergence. A woman who stood for love. A woman discovering new levels of strength and courage within herself in moments of struggle. A woman who would take a vocal stand against excessive force by police, only to find herself on the receiving end of it. A woman doing the hard work to figure out how to use her voice in a culture that often silences women, and particularly African American women. My friend Jeremyah brought her words to my attention the day after her death when he told me that the news was saying a friend from school hung herself in jail. The next morning, I asked if there were any updates and he told me his friends believed it couldn’t be true and were asking “What happened to Sandra Bland?” He had asked me to do something about it, and I wrestled all day. By the time I left Bible Study that night, I was visibly distressed; so my friend Rhys, who had also gone to Prairie View, asked what I wanted to do it about it. I said I did not know, but we had to do something physical with our feet and not just our tweets. He suggested we go to the jail and take one of the nine candles we had lit the week before for the victims of the Charleston shooting and light one for Sandra. We grabbed our friend Nina, and headed out into the darkness. We arrived around 10:00 pm, just in time to see a Texas Ranger load his rifle back into their vehicle and drove away. We pulled in and lit the candle. When someone blew it out, I lit it again while Rhys anointed the step with oil. 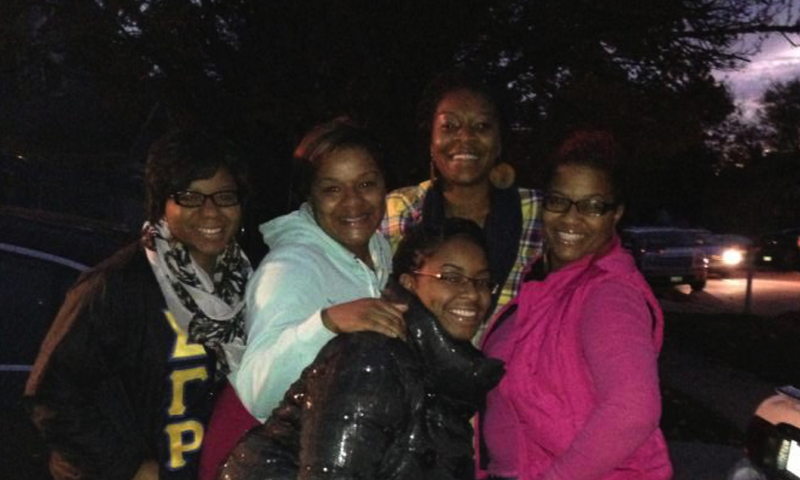 The next day we still heard her words, “I can’t do this alone, I need y’all’s help,” and we went back again. Others joined us and the vigil still continues. Over the last 49 days of going to the Waller County Jail, we have turned consistently to the scriptures, prayer and Sandra Bland’s “Sandy Speaks” videos to keep our conviction strong. In doing so there are three life changing lessons for which I would like to thank Sandra Bland. First, Sandra Band taught me that you can’t truly fight for justice for others if you won’t fight for it for yourself. When Sandra Bland came back to Texas to work at her alma mater, she told her mother, “I know what my purpose is. My purpose is to go back to Texas and end social injustice in the South.” She very quickly had the opportunity to test her resolve when she found herself pulled over by an officer who escalated the situation by making unnecessary demands. Many people have said she should have just stayed quiet and stayed alive. Yet, the fact that African Americans in this nation are expected to bow the head and keep quiet to stay alive, systemic injustices such as racial profiling, was exactly the situation she felt called to end. How could she be silent about her rights and remain consistent? Someday, someone has to say no. To stand with Sandra, there were things I would have to say no to as well. This was explained to me very early on in this journey by a friend, the Rev. Kea Westbrook, who told me that if I was not strong enough to stand up for myself, I would not be strong enough to stand up with Sandra. Second, Sandra Bland taught me that courage is contagious. Her belief in spreading love and courage was pervasive throughout her “Sandy Speaks” videos. She was constantly sharing what she was doing in her community to try to make a difference and encouraging others to do likewise. With every move she made she invited others into action. She promoted seeking justice as a community, but she was willing to take action even if she was all alone. When she was trying to get a petition signed while eating lunch in the food court, she was asked to leave by security. Her courage inspired another young man to speak up for her and then he was asked to leave as well. When he was sent home, Sandra Bland was worried he would lose his job so she committed to sit outside his work every day if he did: because Sandra Bland also had something to teach us about solidarity. Sandra was willing to do the bold and right thing, even if she was the only one doing it. Her courage commanded a response from others. Her courage commands our response now. Third, Sandra Bland taught me that if your faith is central to who you are, you cannot be wholly present in the world if you do not talk about it. In her first video she pauses near the end to think about whether she wants to continue with what she has begun to say because it involves her faith. She finally continues, stating that she is going to talk about God in her videos because it is God that has opened her eyes and given her this calling to seek justice. I identify so strongly with that pause. It is a moment I have experienced many times in my life, while working to build solidarity between those who seek justice within the church and those who seek justice but will not go near a church. When those seeking to end injustice through a faith motivation come into contact with those seeking to end the same injustice, while also articulating that the church has had a hand in creating it, it can be tense. It is a difficult space in which to stand. I have rarely had the courage to make the choice Sandra Bland did, not to leave her faith in her pocket when putting her cards on the table. What I very quickly realized in keeping vigil for Sandra Bland was that if my faith is the source of my courage, conviction and motivation in this struggle, then I am weaker without it. I am weaker if I do not talk about it. I am only partly me, and I need every bit of me to keep going in this journey. Every last bit. So, like Sandra Bland, I’m bringing all of me to the table. Strength. Courage. Faith.